~Looking back over a 25 year period, the art world has seen some vast changes in how we perceive and view art. What was once described as pile of rubbish is now seen as pure art and there are many other realms of art that have developed since 1993 in the contemporary 21st century. 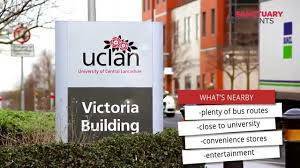 On Wednesday 5th - Tuesday 11th September UCLAN are putting on an exhibition spanning 25 years. The exhibition will include items from the School of Art, Design and Fashion archive from old degree show invites to polytechnic branded ashtrays. ‘Office Ephemera’ takes it’s name from the Greek word ephēmeros ‘lasting only a day’ and now refers to items that are only enjoyed for a short period of time or collectable items that were originally expected to have only short-term usefulness or popularity. Each day starts at 9am and concludes in the evening at 6pm. UCLAN’S art lecturers Andy Bainbridge, Jon Harker and Steve Wilkin have contributed their time and resources into putting this exhibition together. Please support them when you can and attend this 7 day art showcase.